Elena Gilbert is alive - again. When Elena sacrificed herself to save the two vampire brothers who love her - the handsome, brooding Stefan and the sleek and dangerous Damon - she was consigned to a fate beyond death. Until a powerful supernatural force pulled her back. Now Elena is not just human. She has powers and gifts that were bestowed on her in the afterlife. What's more, her blood pulses with an overwhelming and unique force that makes her irresistible to any vampire. Love it. Awesome. Never been a fan of Vampires. 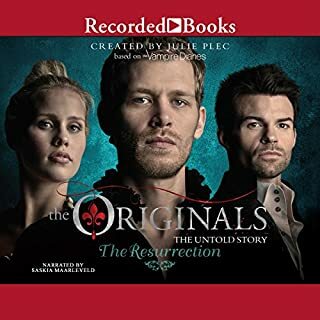 Arriving in New Orleans in 1722, Original vampire siblings Klaus, Elijah, and Rebekah Mikaelson believe they've escaped their dangerous past. But the city is lawless, a haven for witches and werewolves unwilling to share territory. The siblings are at their mercy... especially after Klaus meets the beautiful and mysterious Vivianne. Her impending marriage is key to ending the war between the supernatural factions - and Klaus' attraction to her could destroy the uneasy alliance. I absolutely love The Originals!!!! Klaus, Elijah, and Rebekah Mikaelson had won it all only to lose it again by 1788. Control of New Orleans is split between the vampires and the werewolves, much to Klaus' displeasure. In a dangerous attempt to reclaim his home, Klaus decides to build a vampire army to take out the werewolves once and for all. If he can't have love then he'll settle for power. After a hurricane destroyed their city, Klaus, Elijah, and Rebekah Mikaelson have rebuilt New Orleans to even greater glory. The year is 1766. The witches live on the fringes in the bayou. The werewolves have fled. But still Klaus isn't satisfied. He wants more. He wants power. 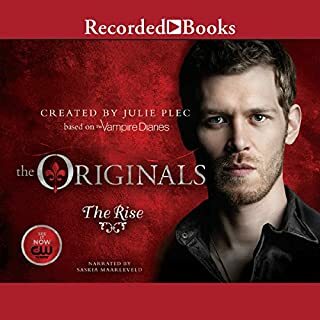 But when Klaus finally finds a witch who will perform a spell to give him what he desires most, she secretly uses Klaus to unleash a curse - one that brings back hundreds of her ancestors - and begins a war to reclaim New Orleans. Damon: Determined to make Elena his, he'd kill his own brother to possess her. Stefan: Desperate for the power to destroy Damon and protect Elena, he gives in to his thirst for human blood. Elena: The girl who can have anyone finds herself in the middle of a love triangle...one that might turn deadly. Listen to more Vampire Diaries. Thought the cheesy vampire voice was going to be an obsticle... but I found that you quickly get over it. The person who read this ruined the experience. Accents were terrible. Made listening unbearable. Fix this. narrator is very,very bad. very. I would ask for my money back if I hadn't powered through to the end. better than the first book, but still a bit juvenile. a friend says they get better as you go, so I will try the next one. 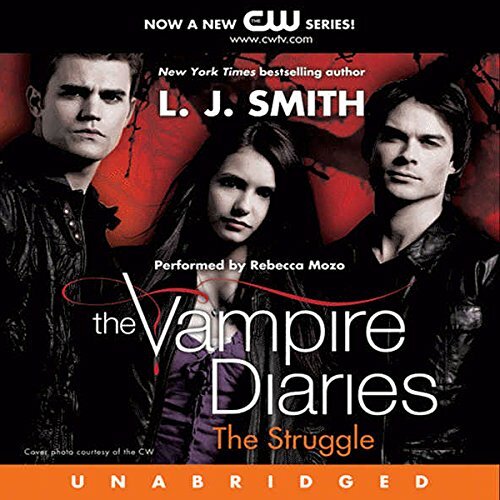 What was one of the most memorable moments of The Vampire Diaries, Book 2? Have you listened to any of Rebecca Mozo’s other performances before? How does this one compare? This is a half book. I like the book and the characters. I think it's a fun story. What I did not like was the narrator. I was not a fan of her voices, especially for Stefan and Damon. Maybe because I am tainted by the vampire diaries show. 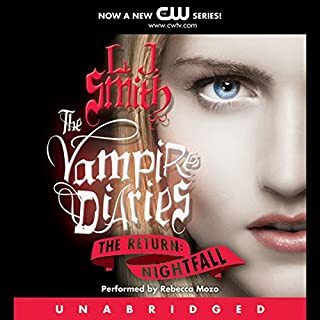 Would you listen to The Vampire Diaries, Book 2 again? Why? Maybe. I enjoy rereading books as it builds my comprehension and I tend to pay attention to piece that I may have missed previously. Which character – as performed by Rebecca Mozo – was your favorite? 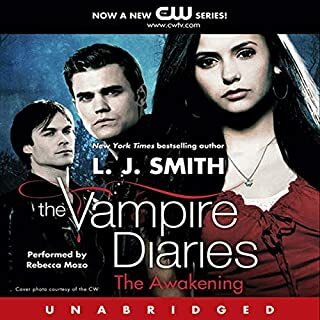 What made the experience of listening to The Vampire Diaries, Book 2 the most enjoyable? I really enjoyed this listening to this book and was able to complete it in a matter of 2 days via audio/kindle fire. I have the hard copy of this book and it would take so much longer to read as I always had to find time. But with audio books you can listen to books anytime and anywhere !!!!! Moving on to the next won !!!!!! Thank you !!!!!! Yes ! My reaction was that I loved it and want to listen and/or read more !!!!!!! I agree with a previous reviewer, dull, dull, dull ! ! Book 1 piqued my interest, by the middle of book 2 I wanted the heroin to die as soon as possible lest she contaminate the human gene pool as one of stupidest most lack-lustre heroins of all time. I think that this is an almost unbearably bad book. The description of the lead character's thought processes and the minutiae of her actions reduce the books pace to that of drying paint. GOOD GRIEF ! The Sookie Stackouse or even Merit books are Umberto Eco by comparison. The TV series in this case is, in departing completely from the original story, doing us all a great favour. Listened to the 1st book then this, after the 1st i was hoping it would improve, but it doesnt. They are nothing like the series, the narrator sounds like shes talking through a cloth on top of which she is very dull and the story never seems to get going. MY humble opinion stick with Sookie Stackhouse!! I love these books. I started out watching the tv series and have been hooked ever since. The way the book is written makes you feel like you get to know the characters. 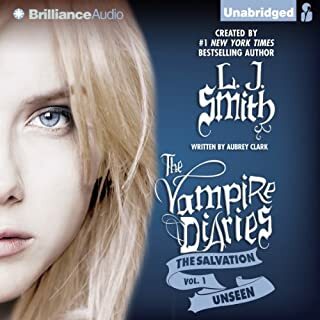 The audio version is well narrated and makes the story much more exciting. 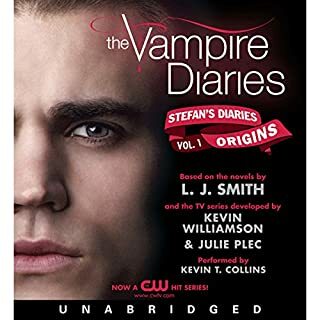 I like the Italian accent used for Stefan and Damon that you don't get in the televised version. The story, as always, is exciting and fun. I would definitely recommend this series of books! This book picks up where the first book ends. The characters face fear, danger and trial in this superb sequel. A must-buy for anyone who loved The Awakening. These books won't make much sense when read separately and out of order, so buy the whole lot and enjoy!